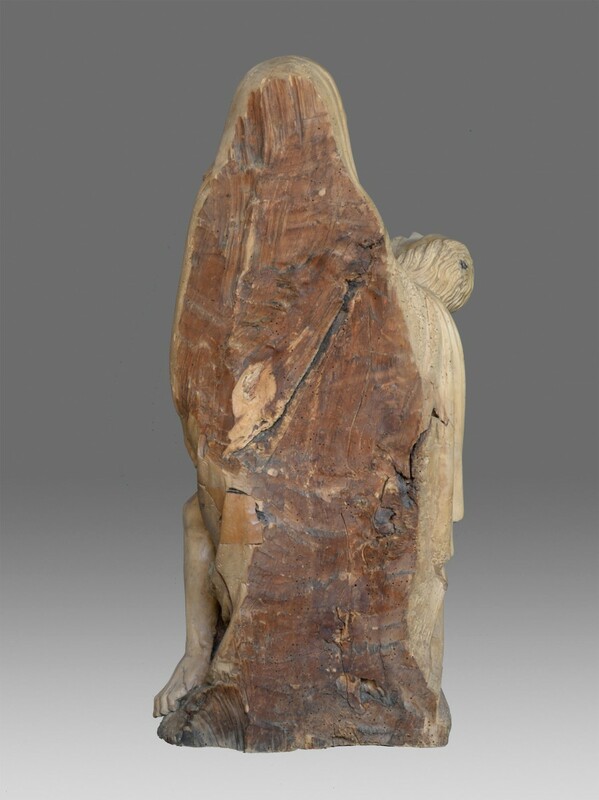 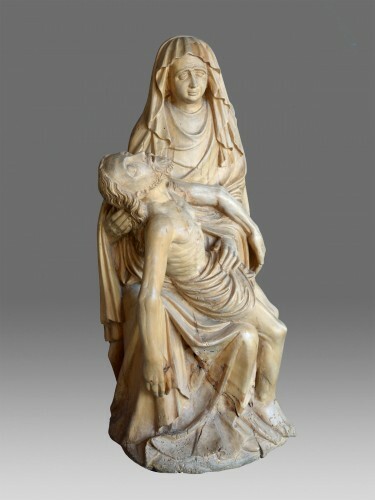 The virgin is shown sitting and holding the body of Jesus in her arms on her knees. 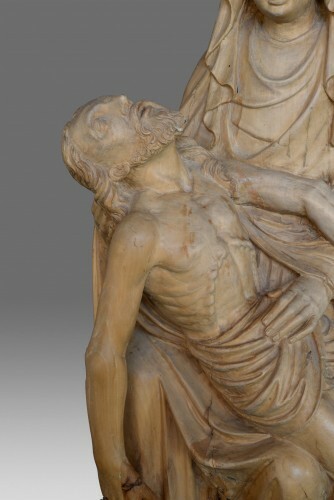 The virgin and Christ are expressive of pain. 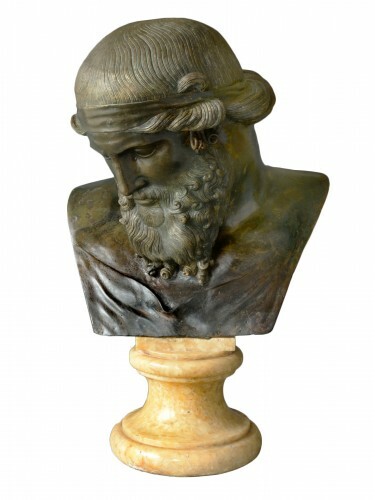 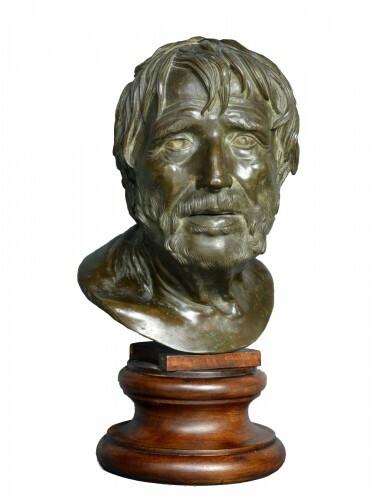 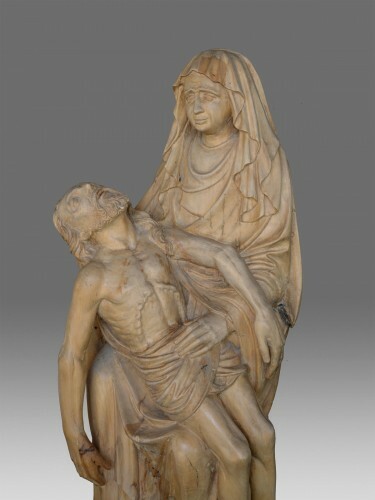 The sculpture is finely carved and the whole is very elegant. 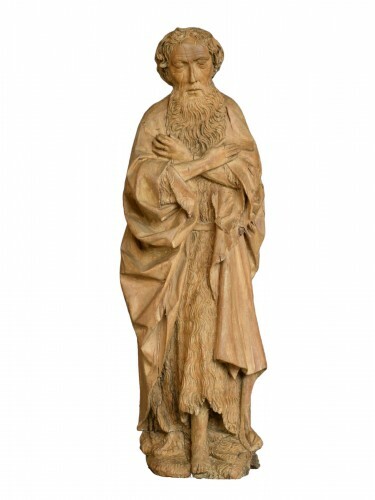 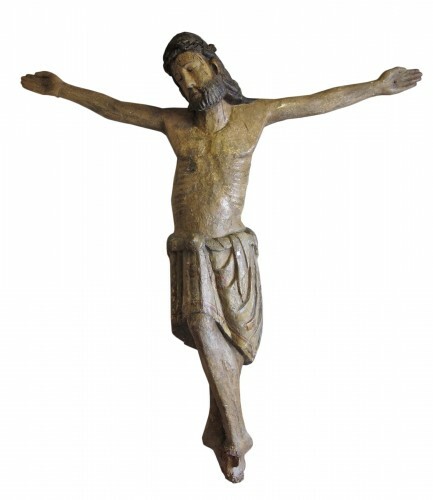 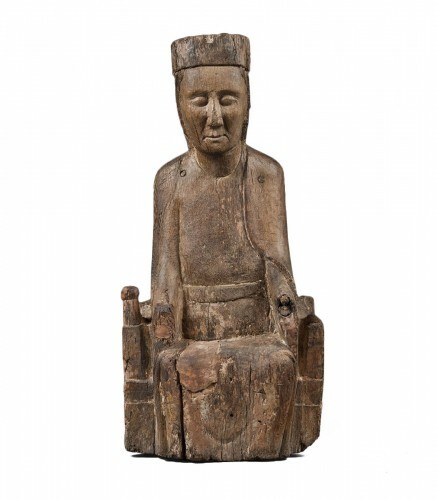 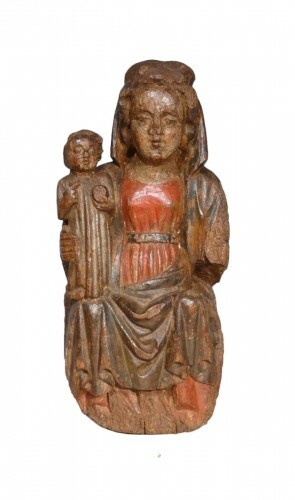 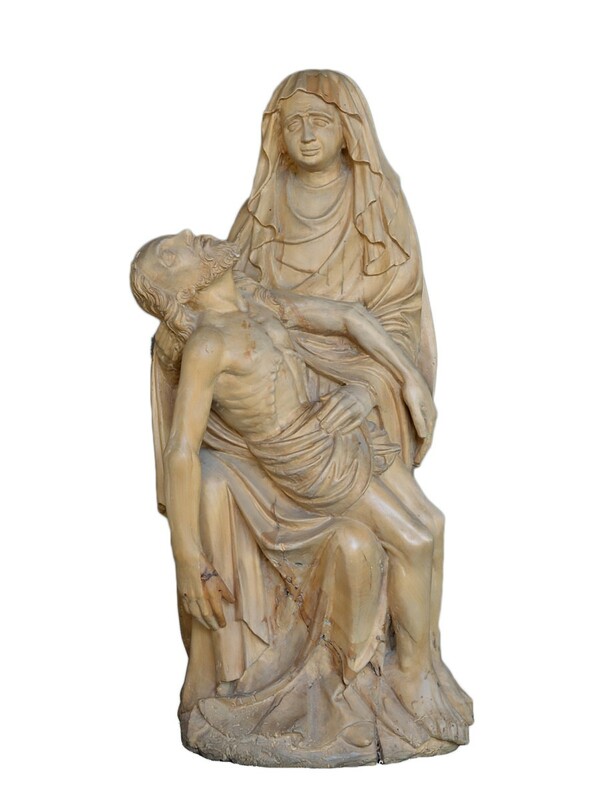 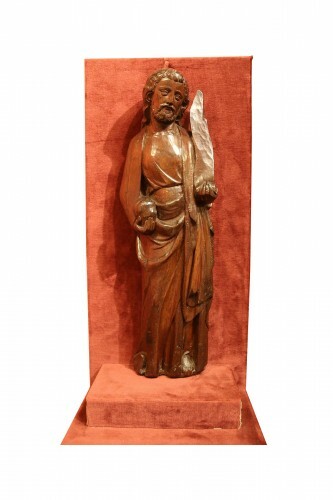 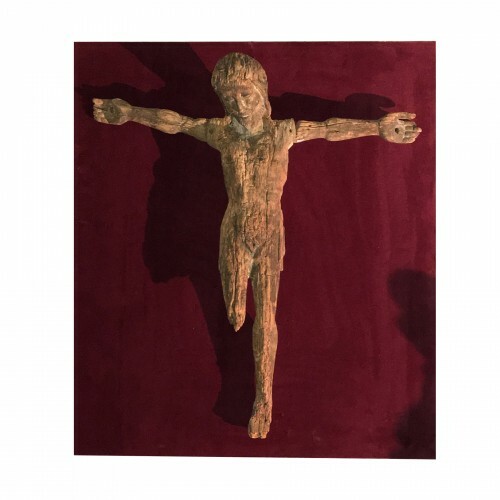 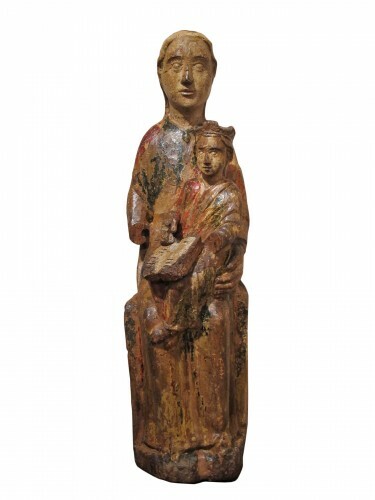 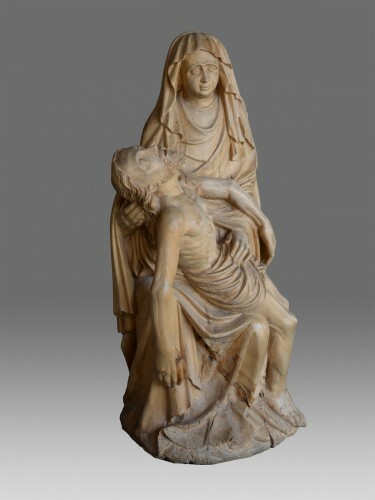 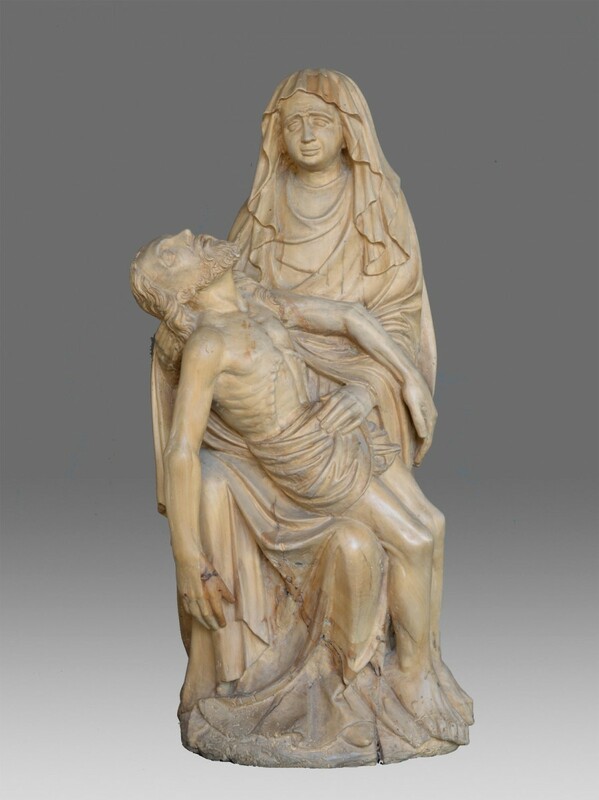 This piece comes from a private collection of Stuttgart and is an example of Ulm school of late Gothic.